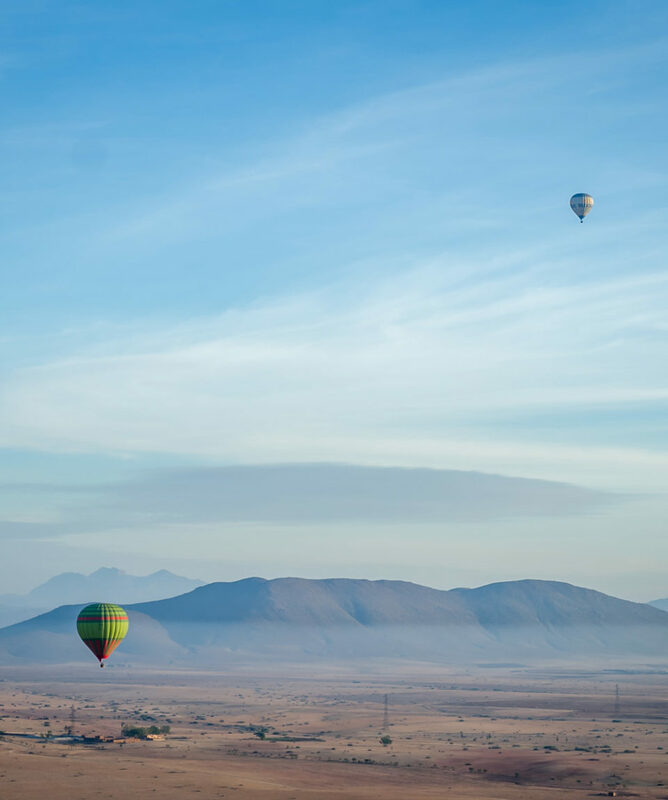 Glide through the skies to take in Marrakech from above! 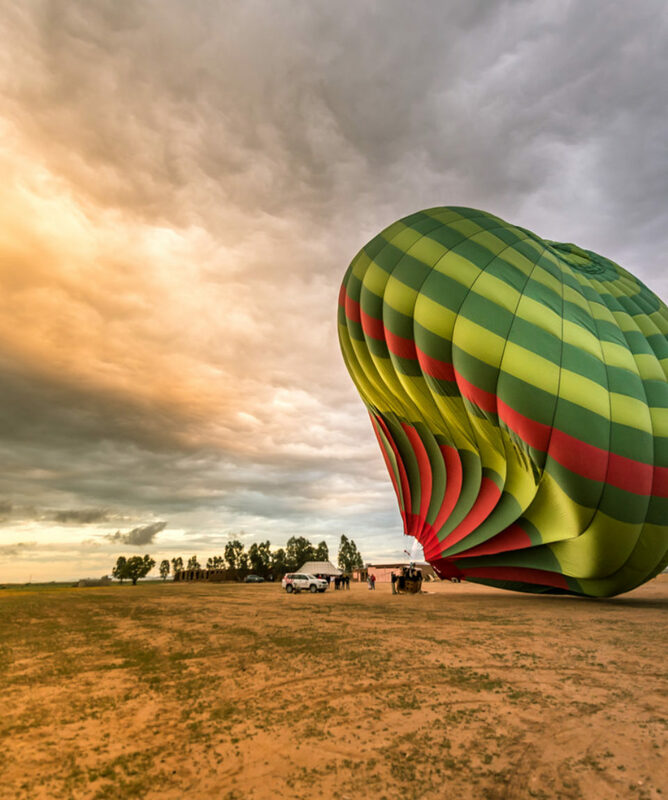 Savour the unique experience of ballooning over Marrakech. 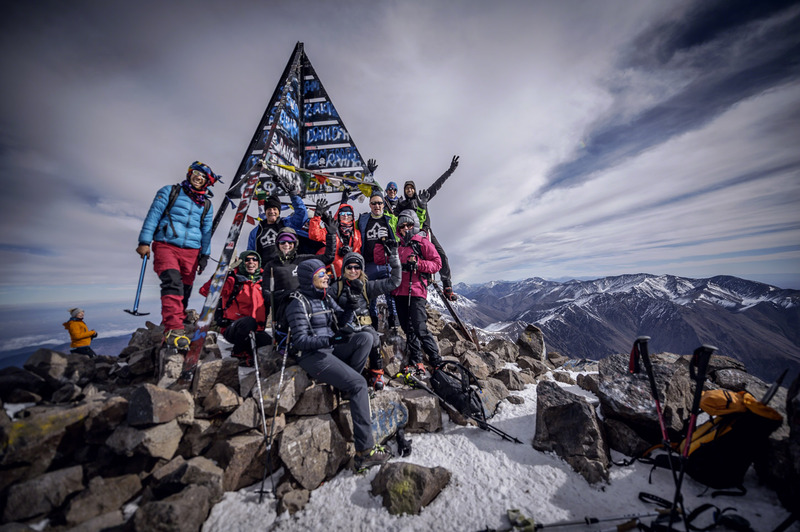 Outstanding equipment maintenance and meticulous planning combine to provide one magical hour’s ride over the millennial city of Marrakech with the High Atlas mountains as a backdrop. 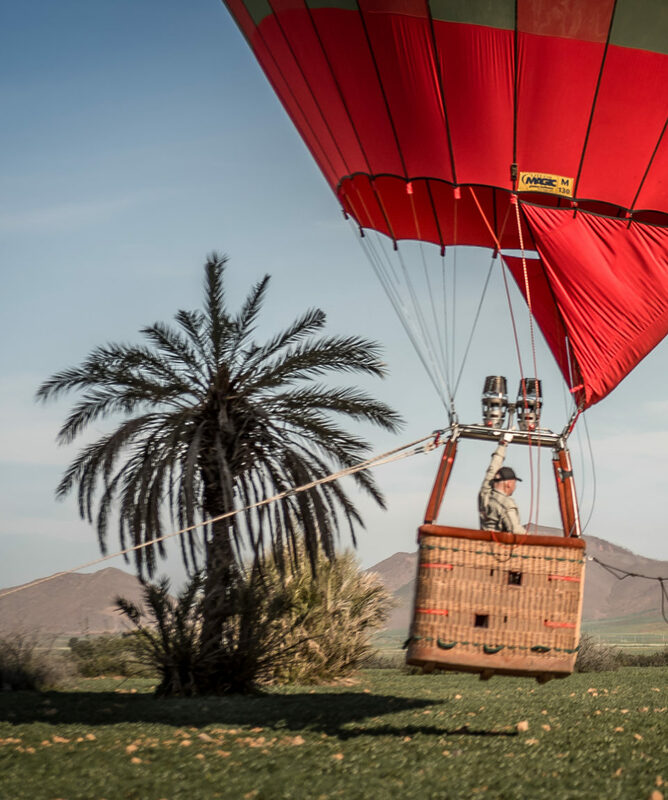 Glide through the skies to take in Marrakech from above! Savour the unique experience of ballooning over Marrakech. 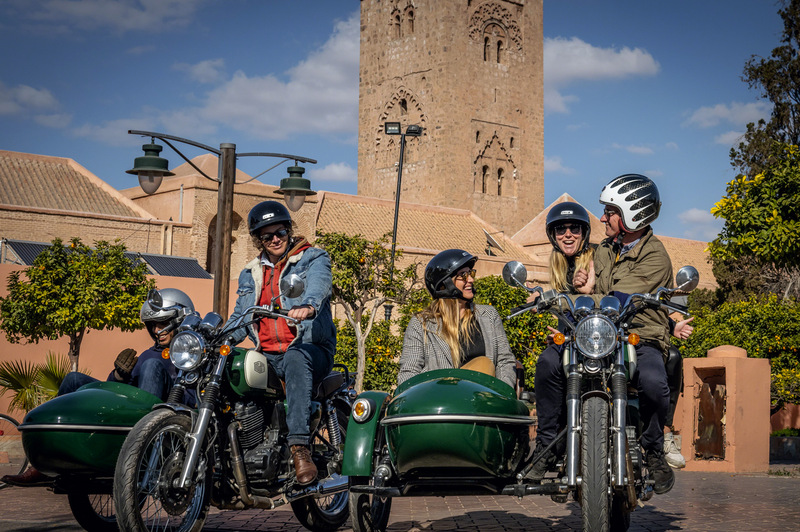 Outstanding equipment maintenance and meticulous planning combine to provide one magical hour’s ride over the millennial city of Marrakech with the High Atlas mountains as a backdrop. A once-in-a-life experience that you will be able to check off from your life’s bucket-list. 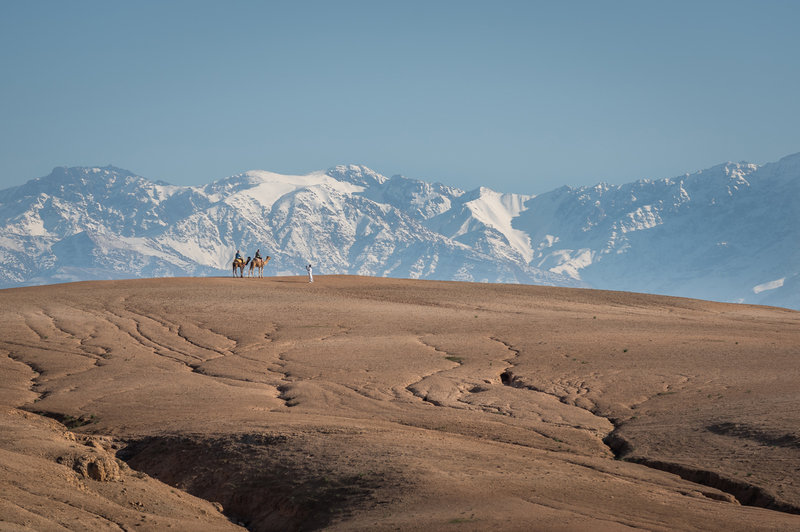 Enjoy the best views from the desert, just North of Marrakech. 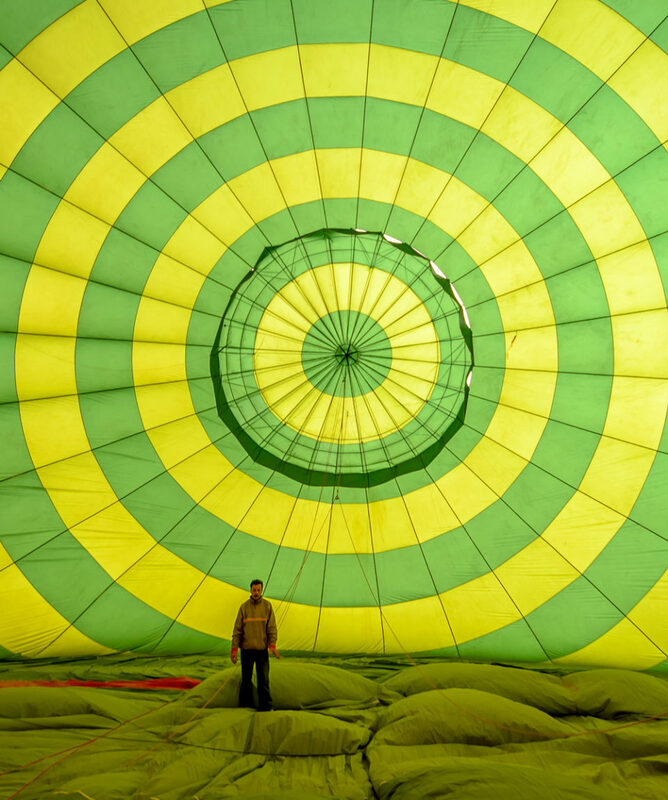 Discover the spectacular pumping of the balloon with the staff. Get automatically 30% on our Camel Ride in Marrakech if you buy at sametime (we advise to book on a different day). 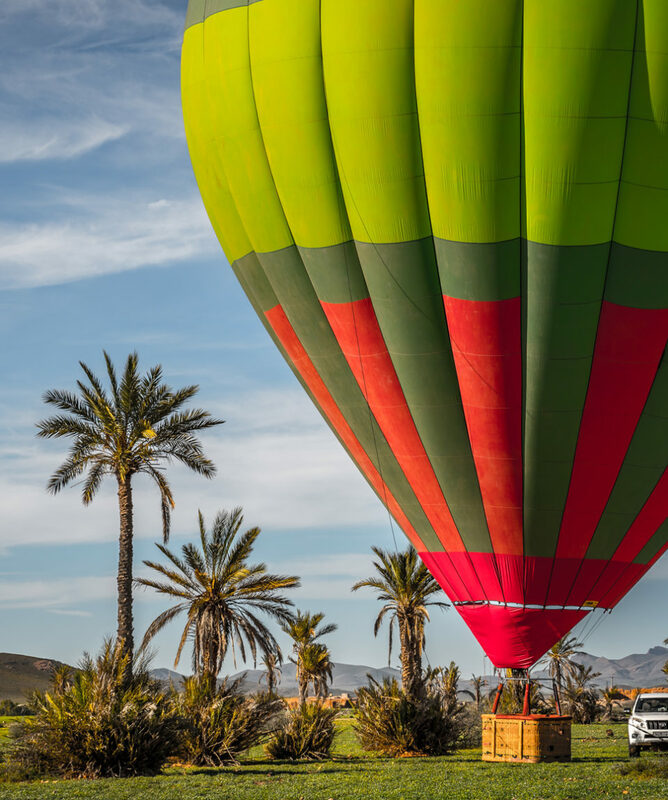 Pick up (early start) from your hotel or riad and transfer to the balloon launch site in the Jbilets hills : assist to this setup ! This show is ferric. Listening at the sound of the burners, you will be able to stare at the ballons rising up just before passengers take place into the baskets for a smooth and quiet take off. After an hour flight at 3000 ft altitude following weather conditions. Your pilot will drive you fllowing the winds. Afater landing, a fully air conditioned 4WD vehicle will take you to drive you back to starting point. Savour a a snack of msemen (Moroccan Crepes) and enjoy an authentic mint tea before going back to the city. 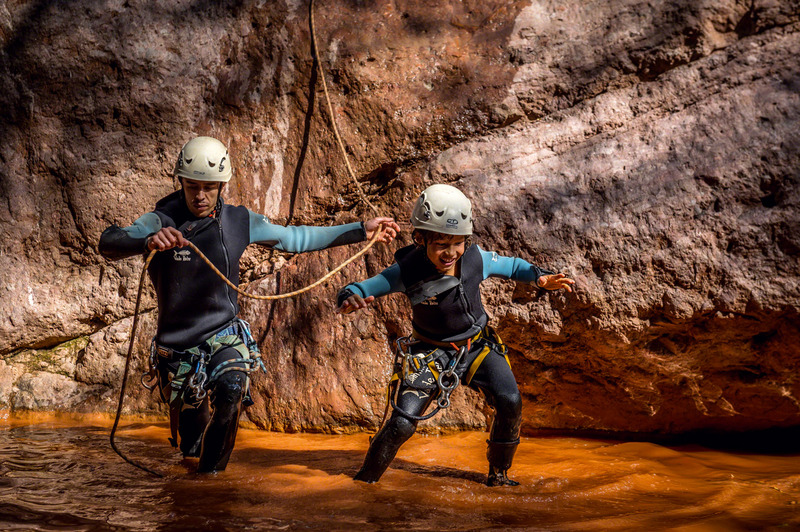 Our intimate knowledge of the area, the high level of equipment maintenance and our friendly, experienced monitors provide you and your friends or family (children welcome) with an unforgettable holiday memory. You can combine the activity with other great experiences such as camel ride, bike tour or buggy tours. Contact us to get a quote. Looking for private stuff ? Look for the ROYAL EXPERIENCE and privatize the basket and the pilot just for your party. « Traiteur » breakfast served on board. Just luxurious ! This excursion is available all year-round but weather dependant. This excursion requires an early start (as early as 5 AM in the summer). Inform your hotel or riad that you will need an early breakfast. Once you’ve made your booking, its status will be “PENDING”. Our team will then confirm the tour with all details by email as soon as possible within the next 24 hours. This is made in order to propose you the best flights. You want the trip just for you? Book Royal Flight, with a luxury breakfast on board ! We recommend you wear closed shoes, comfortable clothing, a hat, sunscreen and a windbreaker (required in the winter). To best enjoy this experience, we suggest you respect local customs and avoid wearing shorts or skirts. Pick up from & return transfer to your hotel or riad (5 km or less from Marrakech). English speaking professional activity leaders. Traditional msemen pancakes served hot with mint tea served after the flight. How high is the basket? Can I come and watch only? Do the balloons fly over the clouds? Is it possible to accomodate groups? How high is the basket? Can I come and watch only? 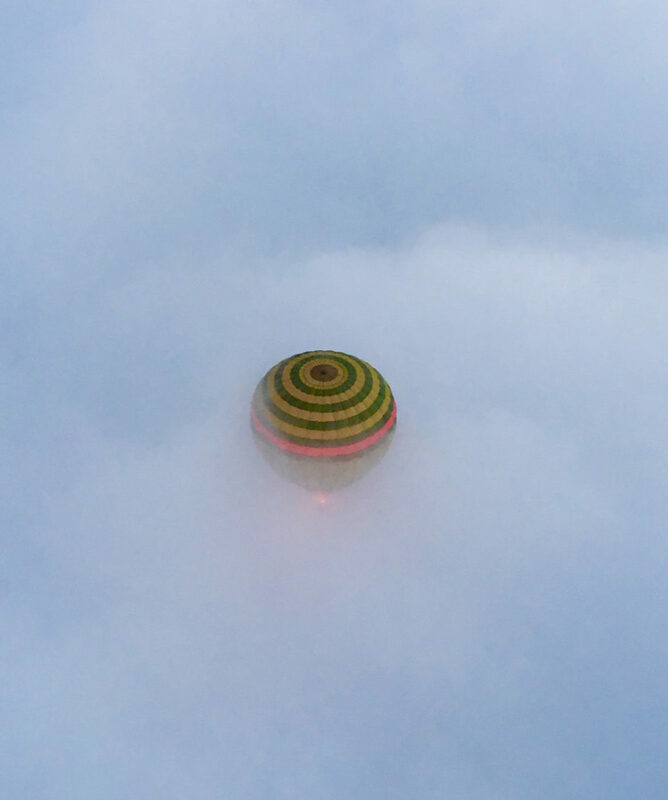 Do the balloons fly over the clouds? Is it possible to accomodate groups? The baskets are 115 cm high. It’s means that small children may not see everything if they are not lifted by their parents. Please take this information in consideration. Baskets have also small windows on each side of the basket. If you are visiting with someone flying, yes, it is possible, but there will be transportation & participation fees. If there are some clouds, yes, this can happen, but as each flight is weather-dependant (clouds, air masses, temperature, winds, etc. ), this cannot be guaranteed by the pilot. Yes, for sure ! Can go up to more than 100 people. Please send us an email at [email protected] to get the right quote.